If you are moving to another location, you need to pack your silverware in a careful fashion to avoid damaging it. You can use our Low Density Silverware Bag - Flat Pack to pack your expensive silverware and transport to your chosen location. Our silverware bag will ensure your silverware remains undamaged during the move. 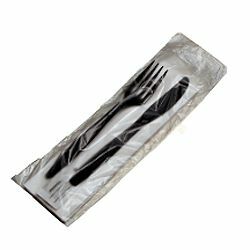 If your restaurant is moving to a new location, use our low density silverware bag to pack the silverware to keep them separate from other things. As a restaurant, maintaining a clean working environment is important even during a move. Use our silverware bags to pack utensils, napkins, and condiments.